This new release includes support for WAV and AIFF tagging, along with WAV and AIFF cover art! We've also added an easier way of adding custom rules into bliss, and fixed a few small bugs. For a long time, bliss's list of supported file formats has stayed pretty static; most of the widely used formats were supported including MP3, MP4, FLAC, WMA and more. But we've also had requests for a long time to add support for AIFF tagging, and also WAV as well. bliss has always used the JaudioTagger project to perform the actual tagging of music files. A few weeks ago support for AIFF and WAV was committed into the JaudioTagger library, and now we have bundled this into bliss! This means bliss can now both scan, recognise and performing tagging of AIFF and WAV albums. As well as setting textual tags on these files, cover art can also be added and removed to WAVs and AIFFs. It also means that untagged WAV and AIFF files (of which there must be many) will appear in the bliss "Untagged" page with suggestions for tagging. So if you have any old untagged WAV or AIFF files laying about, now might be the time to get them tagged! It all helps with getting all of your music library complete, correct and consistent. Now WAVs and AIFFs get the same treatment! Another new feature in this build I think it's worth highlighting is that custom regular expression rules can now be contributed by saving the rule to a file in a well-known location. I'll be posting more on this in the upcoming weeks, but by saving a regular expression rule into a .regexrule file into a regex-rules folder inside the .bliss folder, bliss will pick up the rule and incorporate it into the settings page and into normal rule processing. 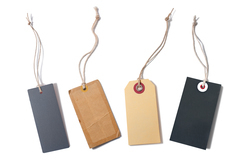 # Checks that the selected numeric tags do no have "part of set" delimiters, e.g. "1/12". # If they do, offer a one click fix to remove the delimiter and total number, e.g. change to "1"
find /([\d]+)//[\d]+/ replace with "$1"
Save that to .bliss/regex-rules/partofset.regexrule and restart bliss. You should see a new setting in the setting panel. More detail on this in coming weeks! Tolerate an inability to read a file on a file-by-file basis, rather than folder-by-folder (so some files aren't lost). Don't allow trim rules to be applied to compilations or cover art. When fix all visible is pressed for missing genre/year, make sure the buttons show progress. Bundle Java 8 with the Windows installer. If you are using Windows and you don't know whether your version of Java is version 7 or later, in app update is not recommended for this release, because bliss now requires Java 7 or later. The Windows installer now bundles Java 8, and so download of the full installer is recommended.